Often searching for keys? 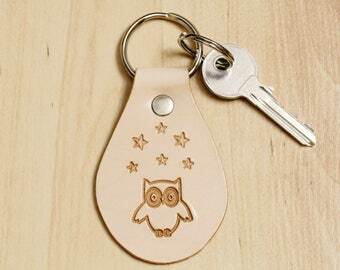 This two tone Owl keyring solves the problem stylishly and makes a really great gift!! 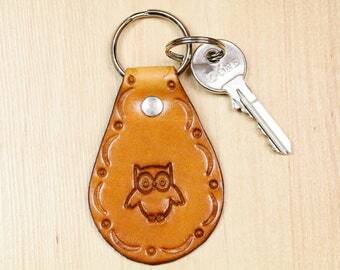 This lovely leather keyring is handmade from premium quality leather and has a hand tooled border and a hand stamped cute owl. 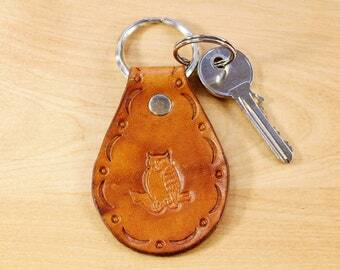 The leather key fob is hand dyed two tone brown and beige on the front and brown on the reverse. 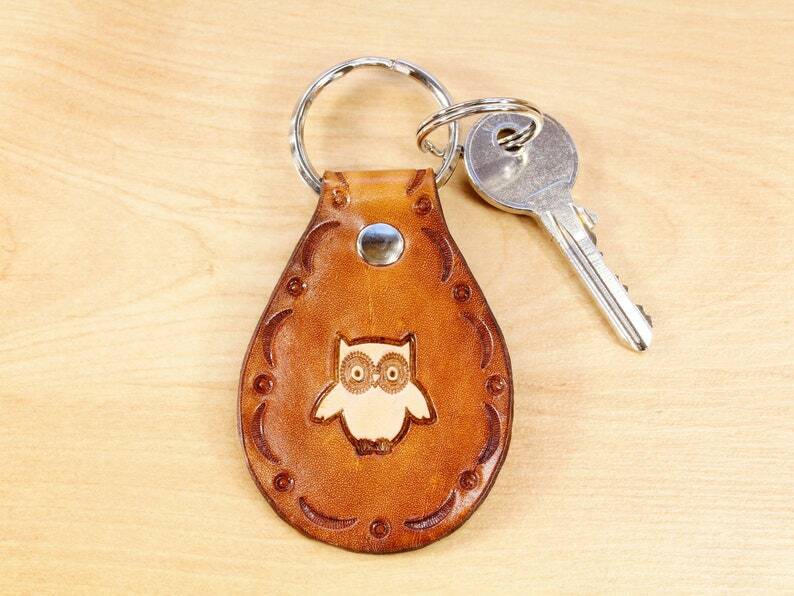 Another happy customer review for this leather keychain said: "The item is wonderfully made, and the shipping was very, very fast"! 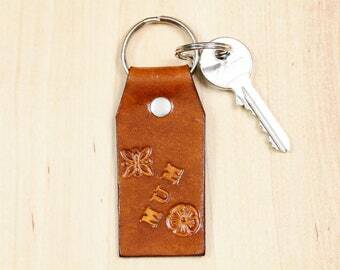 This cute leather keyring could be given as a best friend gift, a gift for teacher or, perhaps for a student as a graduation gift. 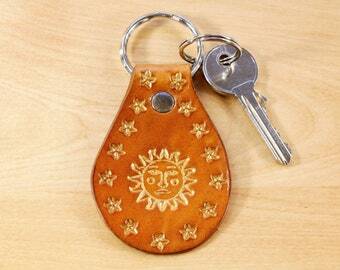 Classic leather keychains always add style!! 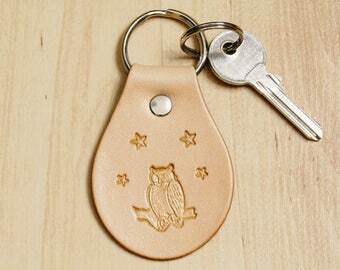 Helps you find your keys easier and shows real personality. 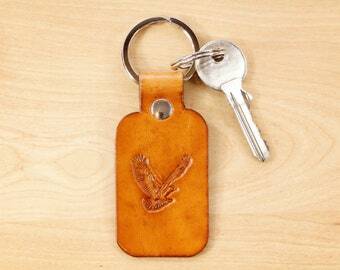 Lovely smell of high quality leather and a keychain which is made to last. Very strong and secure 1.25" metal split ring and metal rivet for added peace of mind. Completely handcrafted as the hand cut leather is also hand tooled, hand-stamped, hand dyed and hand-burnished. Traditional "old-school" leather-crafting techniques so you can be safe in the knowledge that the design will not lift off or rub off!! Unique and not mass-produced as Handmade with Tender Loving Care by Tina of Tina's Leather Crafts (T.L.C). Looking for that special hard-to-find gift? ♥ Husband, wife, parents, grand-parents, girlfriends, boyfriends, friends or any cherished person in your life. ♥ Special holiday gifts for Mother's Day, Father's Day, Valentines Day, Christmas, etc. ♥ Life events such as anniversaries (especially leather anniversaries! ), birthday, moving-in together, housewarming, birth (new mum), baptism, graduation. ♥ You!! Yes, you deserve a treat. Length of leather approximately 3 inches (7.5 cm). Width of leather approximately 2 & 1/8 inches (5.25 cm). Overall length including the ring approximately 4 inches (10 cm). Due to variations in the natural leather and hand dyed colour, you can expect that each one will be unique. Get it fast! Ready for dispatch in 1 business day. Get 25% off your order when you buy 3 items at this shop. Discount shown at checkout. The item is wonderfully made, and the shipping was very, very fast! Such a beautiful gift. My husband loved it (3rd anniversary gift). High quality leather and the comb was nice too. Tina was lovely to work with and had great communication. I would highly recommend this item. Thank you Tina! Great shopping experience! Nice convo and super fast delivery to Germany! Totally recommend! I ship packages every business day. Combined postage is always available for orders of more than one item. I use First Class Royal Mail for UK orders. I use Royal Mail International Standard (Air Mail) for overseas orders. Sometimes delivery may take longer than expected due to customs delays. USPS can be especially slow in processing international items during busy times (and particularly over the Christmas Holidays). 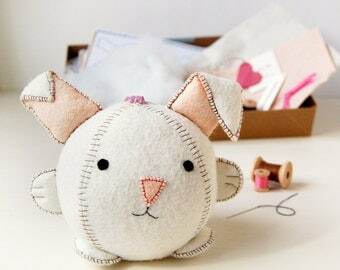 Please let me know via Etsy if your parcel is late so I can start making enquiries for you, but please be patient as usually packages do arrive. Refunds cannot be given for items that do not arrive by a certain date as this is beyond my control. All orders come wrapped and ready for gifting. 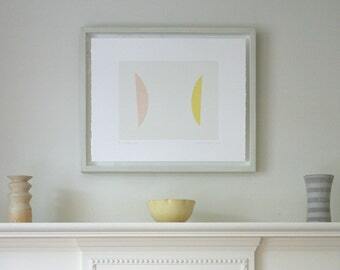 I can also send any item that is bought as a gift directly to the recipient's address. If you'd like an additional handwritten note added to your order, please feel free to contact me to add one to the package at no additional charge!! A package cannot be declared lost until after 15 business days to allow for delayed delivery in the UK and 50 days for an overseas package. If your parcel looks like it may be missing, do not worry unduly as I will fully refund you if the parcel fails to arrive. If returning an item, you must inform me first. After my reply, clearly mark it as "Return To Sender" and complete and attach a C22 custom declaration label to the package (if required) and mark it as "Return Goods" or tick the box "Other" and state "Return Item". Failure to do any of the above will mean I am unable to issue a refund. Refunds for returns will be for the price of the item only, not including the original shipping costs, unless there is a defect in workmanship. 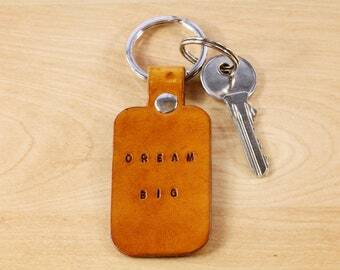 Handmade leather goods are truly "one of kind". Each hide of leather can vary greatly due to the thickness of the skin and wil have its own individual, natural markings, scratches and different tones making each piece unique and special. Each piece of leather will absorb the dye in its own way so you should not expect two similar items to look or feel the same so products will be similar to the photos but with variances in shade. As they are all made with love and two human hands, the hand stamped lettering will never be machine-straight and may not be perfectly centred. 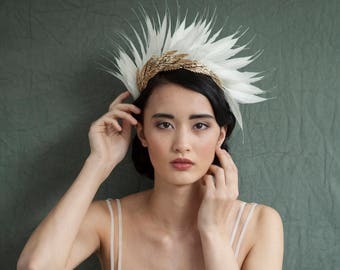 However, this gives handmade goods their individual charm. 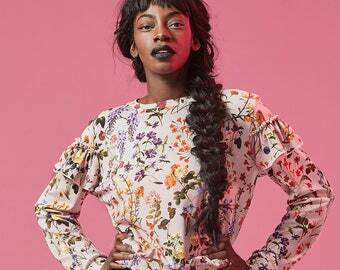 Design and size may vary and all measurements are approximate as each item is individually made by hand. Made To Order items need to be paid for before work commences. Leather can only be stamped on the front as the back is suede-like and you would be able to see the stamping impressions from the front. Made To Order items have to be made from scratch and the design cannot be changed after the dye and leather finish have been applied. 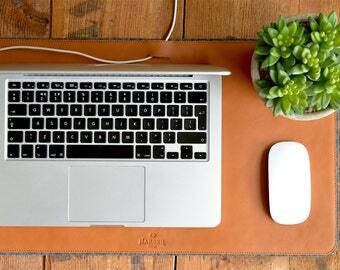 Leather is a natural skin and is not water-resistant. 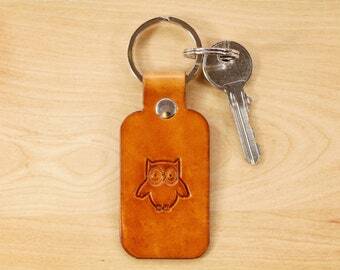 Water will be absorbed by untreated leather and it will stain. My leather items are all treated with a water-resistant leather finish which will help the leather item resist a couple of drops here and there. 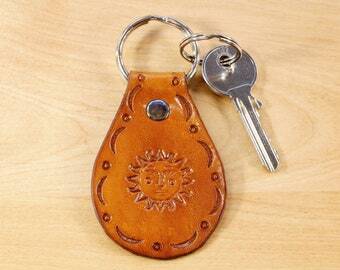 However, if the leather item gets too wet, the finish will not be able to protect it. So you should always be careful around water. Non-leather props in the listing photos are to show scale or for illustration purposes only and are not part of the sale. Please allow for some variance as colours can vary on different computer monitors. Value Added Tax (VAT) is not included in my prices as I am not required to be VAT registered and my customers do not need to pay it. I am not providing a wholesale service at this current time.